Nothing is better than quality vacation time in a beautiful destination. Imagine beach days soaking up the sun, sand between your toes, and then heading out to dinner for a delicious meal while watching the sunset. It’s perfect, right? To some, it’s complete madness to do the same thing over and over again. 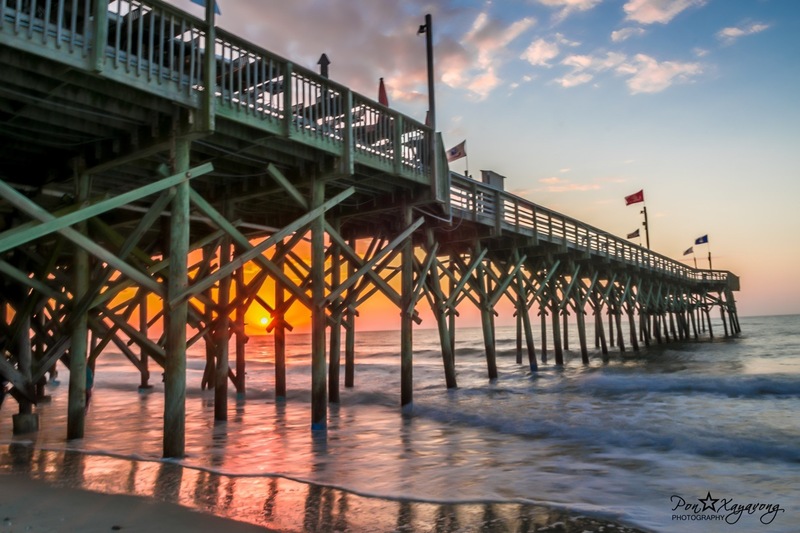 Some people prefer to stay at the same Myrtle Beach hotels, dine at the same restaurants, and do the same old activities while traveling with the same company. But where does that leave those who get a rush from doing something new? When you want to experience something off the beaten path, try the following Myrtle Beach activities and restaurants. They’re less touristy but highly rated among locals and travelers alike. Moonshine can lead to a great time if you know how to control yourself. Palmetto Distillery is South Carolina’s first legal moonshine distillery, where you can take free tours and learn about the rich history and culture of moonshine. This is a unique experience unlike any other in South Carolina, and it’s one that will leave you feeling refreshed and ready for a night out on the town. Just a five-minute drive from the Ocean Creek Resort lies maybe the best part of your vacation. Some of the most fun you have with friends and family happens completely spontaneously, and that’s exactly what this comedy club does. The improv here will have you in tears from laughing so hard. Carolina Improv not only offers entertainment for you and your friends, but it also gives you the opportunity to learn the ropes with improv classes for adults. Tourists and locals like know all about the giant Ferris wheel next to the beach. However, many people don’t think to take advantage of the small patches of grass inside Plyler Park. This is a great place to grab some wine, pack a snack, and relax under the SkyWheel that’s lit up with thousands of LED lights. With delicious food, drinks, great company, and a beautiful show, what more can you ask for? If you’re looking to do a little shopping or just stroll along the streets of a more upscale community, then the Market Common is for you. This is an appealing place to take the family to a variety of restaurants, shops, and landscapes. It’s might be tricky to convince your kids that there’s a new cool adventure awaiting them involving sleeping in a tunnel where sharks reside. But if you can calmly convince them that these huge sea creatures won’t harm them, you might just be well on your way to one of the coolest experiences your child might ever encounter. Embrace the challenge. It’s hard to find new things to do in touristy destinations. But with a keen eye and hunger for the unknown, what you might be looking for could be right at the tip of your nose. I’m Home From Traveling SE Asia: Now What?